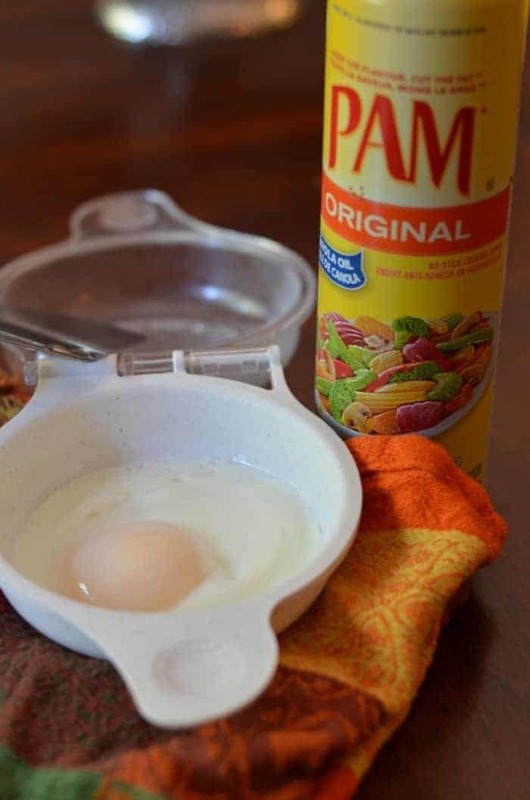 I have been using PAM Cooking Spray for few weeks now and it became a staple in my kitchen. I keep it on the kitchen counter so it’s easy for me to grab. I wonder how I used to do without it. My life in the kitchen became so much easier thanks to PAM Cooking Spray. I have been testing it quite often and developed some cooking hacks that save me time. Time is scarce when you work 40+ hours a week, have a family to take care and you love cooking meals for them. Saving a few minutes here and there may not seem much but it adds up. When you are in the morning rush and your little one wants an egg, grabbing PAM Cooking Spray from the counter saves you time. Besides cleaning the fry pan is so much easier. Plus, since it leaves 99% less residue than margarine or bargain-brand cooking sprays, I don’t have to worry about trying to scrub it off my pans! Let’s see how I have been using it and how it became my best friend in the kitchen. 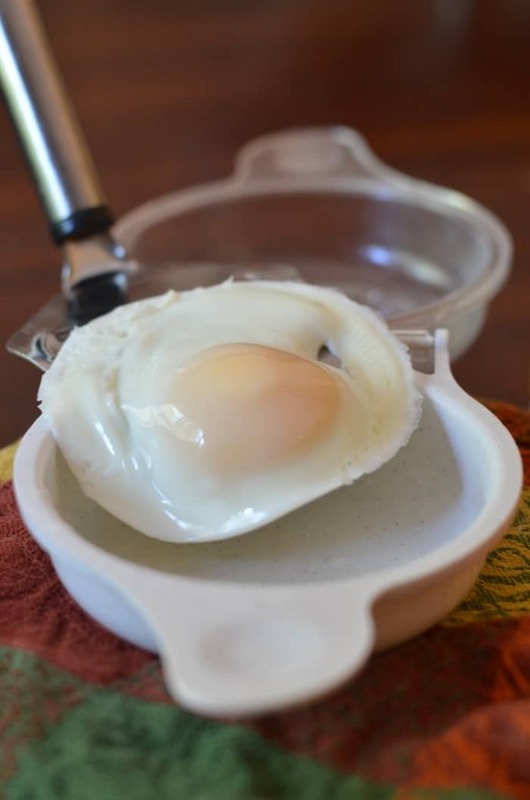 Spray PAM Cooking Spray on your egg poacher and your eggs will no longer stick. They will come out nice and easily. I love eating eggs in the morning, so does my daughter. But before PAM Cooking spray, eggs used to stick in my poacher. Not anymore. Try it and you will be amazed. See for yourself in the picture below. My little one loves eating homemade muffins. I like making them, but I don’t like when they stick to the liners. When coating the liners with PAM Cooking Spray I no longer have to worry about this issue. The muffins just peel right out. I also use silicon liners. I now coat them with PAM Cooking Spray and I find it is even easier to clean. My son is a huge fan of my chocolate chip cookies. He says they are the best. (Isn’t that the cutest thing when your child says that). I sometimes find that my cookies stick to the cooking sheet. It is not fun when you spend an afternoon baking a batch for the week and some of them stick and are spoiled. Since I started spraying PAM Cooking Spray on the cooking sheet, I no longer have this problem. The cookies come just slide right off the sheet. The BBQ season is still in full swing in our home. I stop using the BBQ at the first snow fall. Until then I use it as often as I can. I find when you use the BBQ the kitchen stays cleaner. But having your meat sticking to the BBQ is no fun. So I coat my grill with PAM Cooking Spray and my meat does not stick. Since my husband loves eating grilled vegetables, I try to grill them as often as I can. I spray PAM Cooking Spray before adding the veggies and I am sure they won’t stick. With the holidays coming up, I’ll be doing a lot more baking. 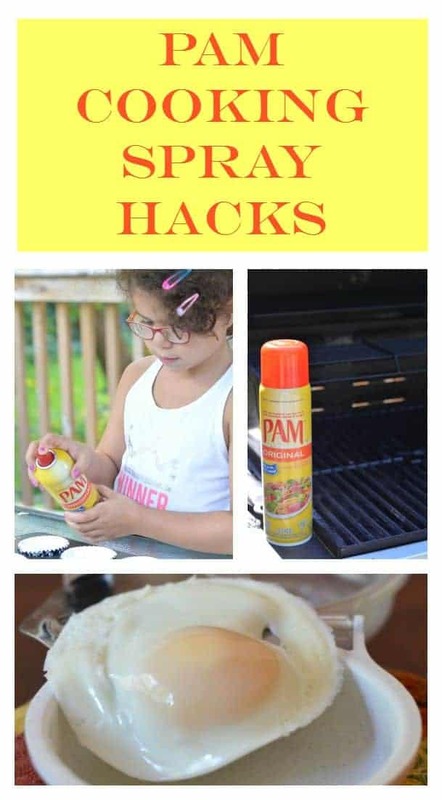 These PAM Cooking Spray hacks are going to come in so handy! Especially the cookies and muffins hacks. Right now, PAM Cooking Spray saves me minutes every week. Once we get into the full swing of the baking season, though, it’s going to save me hours. How? Think about it: less ruined cookies, more beautiful muffins the first try, far less scraping of pans, plus all the ways it helps me in my regular daily cooking means more time to actually enjoy a little spare time with my family! What to Do When Your Child Is Scared of the Bath? I love using PAM cooking spray! My mom used it when I was a kid too! Ive gotten to where I love to use Pam for all of my cooking! It’s so helpful! 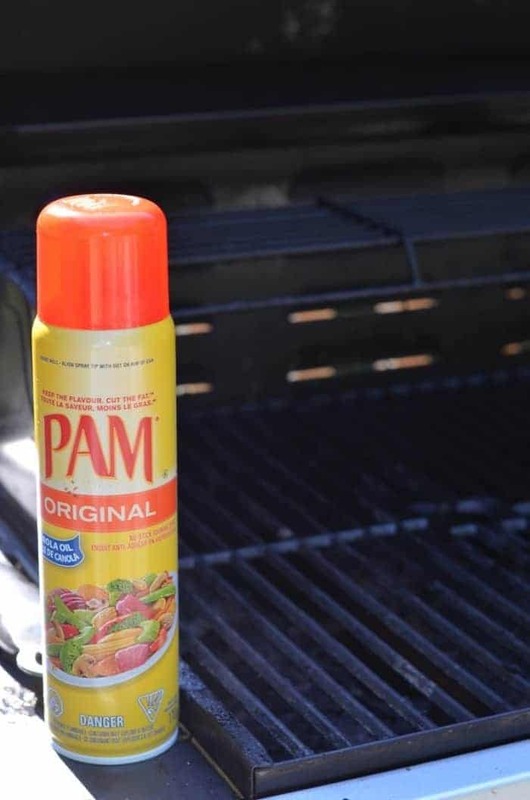 We love using PAM cooking spray, but honestly, we never tried using them on the grill. We surely never thought of that. Thanks for the idea. I love using Pam. I use it in cooking eggs and even spraying the cookie sheet. It’s made things a lot easier throughout the years, especially when baking. Pam is so useful. Just learned a new trick! You spray it onto an avocado and it won’t turn brown while you store it 🙂 Cool, huh? I use Pam every time I cook. It makes everything so much easier. I use it for baking (I spray all my cookware) and it is wonderful for my skillet so nothing sticks.